I'm not usually one for "comfort shoes," as such kicks usually lose any style appeal. 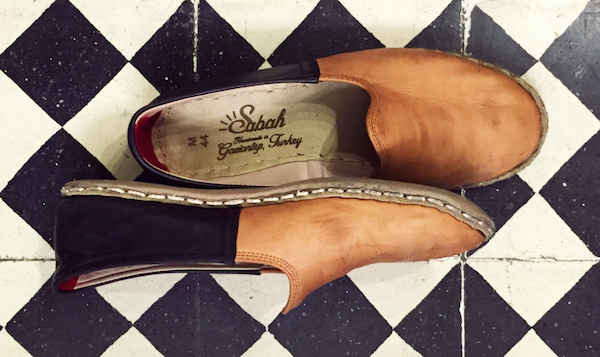 But when I came across Sabah, a line of hand-made leather shoes from Turkey, I had a change of heart. And when I saw them sported on a stylish gal in Santa Cruz, I was firmly convinced. One day I was in downtown Santa Cruz at Stripe talking with co-owner Dana Rader (who also pens a monthly blog for The Penny Rose). Somewhere in the middle of our chat I looked down and saw she was wearing the two-tone pair of shoes seen above. They were adorable when paired with her black jeans and white T-shirt. And then Dana told me the story of the Sabah Dealer who "travels the world selling magical hand-made leather shoes." 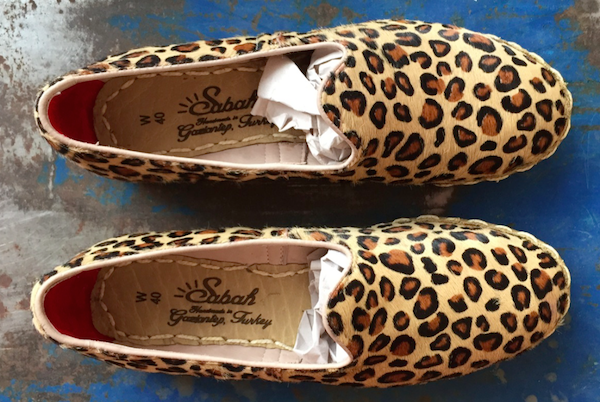 If you can't track down the dealer in person, you can order shoes from sabah.am and this small outift offers a generous sizing option. For an extra $15 you can try on two pairs via mail so you can be sure you get a pair that fits perfectly. Wear them when travelling (your feet won't sweat or get smelly), at home as slippers, or out for a day at the city (they are super comfortable). My favorite three pairs are seen above. Prices start at $190 a pair. Check out more of the stock here.